The TRX is a portable fitness tool that can help users accomplish many different fitness goals.It is getting popular among military operators, athletes, and recreational users. One reason it is so popular is because of its convenience. You can store it in a small pouch because it is just basically two ropes with handles on the ends. 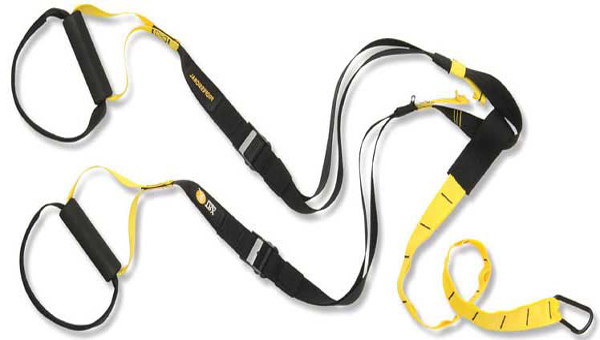 Working out with this tool involves suspending yourself by hanging onto the handles using your hands or feet. While hanging on to the TRX you can do different exercises with bodyweight as the resistance. Putting on a weighted vest is an easy way to add weight with this equipment. Personal trainers, strength coaches, and fitness class teachers have started using this tool because multiple people can perform a total body workout in a relatively small space.